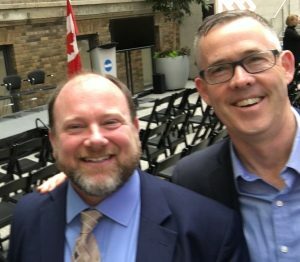 I recently spoke with Michael May, President and Chief Executive Officer of CCRM, a Canadian not-for-profit that develops technologies and launches new companies by supporting both academic and industry activities in the field of regenerative medicine, including cell and gene therapy. Our conversation focused on the intersection of medical devices in Regenerative Medicine. Brian Hanrahan: It was exciting to attend the opening of the Centre for Cell and Vector Production in October. Can you tell us a little about CCRM and your current work? What do you see as the next steps in the industry? Michael May: Broadly CCRM is a commercialization vehicle. That entails everything from identifying promising technologies and bundling them together into a strategic company creations, or into technology development programs that can drive licensing to our partners. It’s also about filling in gaps in the development “valley of death” that people talk about. This is really where our manufacturing focus is. We identified from the beginning that building manufacturing capabilities was key to commercialization, especially for an emerging industry like cell and gene therapy. For us, there are a couple of other elements of our commercialization model that are really important. One is capitalizing the industry – finding ways to fund or liberate risk capital at various stages in development. We are seeing substantial improvements here. A lot of capital moved through the system – impacting all stages – in 2018. The larger companies have access to capital, but we still need to find more ways to help fund early stage development. The other initiative for us is around adoption. A lot of focus has been placed on developing technologies and pushing them towards the market. We think there needs to be significant effort on rallying the same stakeholder groups and a few others around how we enable adoption and patient access for these revolutionary products. This will require a paradigm shift in health care delivery. Brian Hanrahan: Agreed. What are your thoughts around medical devices in the regenerative medicine space? Michael May: I can think of lots of areas where medical devices will play a role – in filling gaps in the industry, enabling more personalized medicine approaches, and facilitating delivery of these therapies to the average patient across regions and regulatory jurisdictions. There’s obviously lots of devices still needed to fill gaps in cell manufacturing. Everything from enhanced cell selection, scalable bio reactors and more efficient downstream processing. There’s also a lot of need for unique, real time bio sensors that enable one of the next phases in cell manufacturing efforts – being able to collect data and utilize data (say using artificial intelligence) for cell manufacturing optimization. This will play a very important in realizing cell-based personalized medicine. Being able to integrate device unit operations across workflows and do it with automation and closure to reduce the requirement for expensive clean room facilities might enable more point of care cell processing approaches. Device development will drive these approaches. In addition, the regulatory authorities will need to be engaged on how to license products delivered through point of care processing and their openness to closed, automated systems run under class C or lower environmental conditions. Again, medical device development will play a role addressing these challenges and opportunities. Brian Hanrahan: Yes. I suppose near patient processing is one of those areas which at the moment is a long way off. It is and it isn’t because you have things like dialysis and some stem cell treatments that keep the patient connected to the device. I think you touched on several things that might limit or delay the implementation of those sorts of near patient processing device. Michael May: This could really come down to the industry’s regular debates about centralized versus decentralized cell manufacturing and the long-running debates about autologous versus allogeneic therapeutic approaches. I don’t think that there is any one option that’s going to dominate. Initially, all of these therapies are going to be delivered in health centers of excellence. We’re going to have regionally centralized cell manufacturing that are still going to require a variety of devices to enable them. There will be certain therapies that will be amenable to near patient processing; others will be optimized through large-scale bulk manufacturing. As personalized medicine evolves, we’re going to require additional regulatory evolution and acceptance of devices that enable near patient processing. These devices will rely heavily on data and data integration to predict outcomes and make decisions on patient specific cell manufacturing conditions. Although there will be complexity, we’re going to have to make them foolproof to satisfy the safety concerns of regulators and to enable broad use by a variety of healthcare professionals. Perhaps, in the future, we will make starting cells and bulk reagents like viral vector in centralized manufacturing facilities, and then finish the manufacturing in the hospital “pharmacy” using small scale, highly parallelized near-patient workflows. We’re still a long way off from that kind of scenario. Brian Hanrahan: Tissue engineering is one area which sort of lags behind the more conventional cell and gene therapies. What can be done to move that area along? Is CCRM involved in tissue engineering projects? Michael May: When CCRM started, one of our three major development pillars was biomaterials. That was a local area of expertise for us and the recognized that tissue engineering products rely on scaffolds and other advanced biomaterials. We have defocused from that over the years because of exactly the complexity that you have identified. Tissue engineering medical products are very complex – they require the integration of cells, biomaterials, and molecules to ultimately emulate tissue, which is inherently more complex than a product based on a single cell type, whether genetically engineered or not. The real challenge with tissue engineered products is vascularization. This is nothing new. I worked on encapsulation during my PhD 20 – 25 years ago. If you create a complex tissue engineered product, or you’re expecting it to develop in vivo, you have to have adequate vascularization ahead of, or in parallel with, tissue transplantation or development. Creating vascular networks alongside all of the other complexity of these products is really challenging. Making these products in bio reactors under excess nutrient and oxygen tension conditions is one thing, but creating supportive capillary networks and connecting them to the vasculature is still a challenge. Brian Hanrahan: We covered a whole range of areas which has been great. What advice do you have for medical device suppliers and companies working to support the industry? Michael May: Alongside the reagent companies, device companies have been the foundations of the industry from the beginning, supporting the development of viable therapeutics companies, which is now driving the industry. My advice would always be to collaborate. For example, device companies are engineering driven, but development will benefit with better and deeper understanding of biology and cell development. Let’s be transformational and develop devices that are more than incremental improvements, rather devices that develop at pace with our understanding of cell biology and our ability to engineer and control their biology through gene editing and other tools. This includes understanding how complex tissues can be emulated in the design of new devices. Collaboration works both ways, but I think that device companies should partner with academic institutions and groups, like CCRM, which bring together all of the pieces of the translation/commercialization puzzle. I think that the pace of innovation that you see in device development can still be aligned better with key developments that are happening on the biological side. Brian Hanrahan: Do you have any other thoughts as a final comment? Michael May: One final thought is the need to think about devices not just from the liquid side, but also the data side. This may be obvious to a group like you, but I think that there’s still a lot to be gained from collecting data from systems, whether it’s manufacturing or otherwise, and utilizing artificial intelligence and other tools to optimize systems, especially as we personalize medicine. In other words, most people in the industry still focus on the flow of cells and materials through the unit operations of a workflow. But there are still many opportunities to integrate and learn from the data collected from these same unit operations. This means that we need to integrate advanced, real-time biosensors into future device and workflow development. Secondly, I think new opportunities will arise around enabling delivery of these products to patients. We’re starting to think at CCRM about market access of cell-based products and what an “advanced therapy treatment centers” might look like one day. In the end we have to align manufacturing, reimbursement, regulatory approval with the patient journey in existing infrastructure in our hospitals, along with associated logistics, and the healthcare supply chain. All of those elements have to be integrated in a way that ultimately will enable the access to these products for patients at a reasonable cost. And in a way that health care systems will be able to manage. I believe there are lots of opportunities on the device side for enabling that market access. Brian Hanrahan: Yes. That’s terrific. Thank you so much for your time. Brian Hanrahan is the Biotech Program Director at StarFish Medical. 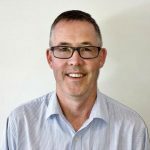 A customer-focused leader and program manager, Brian has more than 15 years by delivering successful product development in the biomedical and cell therapy industries.